People with intellectual/developmental disabilities, and their families, can be certain that personal preferences and hopes are central when planning their time at BHSSC. BHSSC’s Developmental Disabilities division was the first program the organization offered when it formed in 1980. The Developmental Disabilities division has achieved a four-year Person Centered Excellence accreditation with the Council on Quality and Leadership (CQL). CQL provides accreditation, training, certification, and customized consultation to human service organizations and systems that share the CQL vision of dignity, opportunity and community for all people. Both children and adults are served, in separate programs. They gain top-caliber education, community-based residences, and employment suited to individual interests. Some adults work at Dove Creek Pottery, creating unique vessels, vases, and ornaments sold across the region. Sturgis and Hot Springs are the communities where this division’s services are based. But many other Black Hills towns welcome people supported by the program, too — in public schools, workplaces, and through recreational opportunities. BHSSC’s Developmental Disabilities division was the first program the organization offered when it formed in 1980. 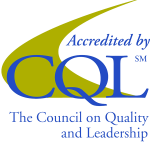 All Developmental Disabilities division services, and coordination of those services, meet the highest national standards of the Council on Quality and Leadership (CQL). Both children and adults are served, in separate programs. They gain top-caliber education, employment suited to individual interests, community-based residences, and meaningful community life. Sturgis and Hot Springs are the communities where services are based. But many other Black Hills towns welcome people supported by the Developmental Disabilities division, too – in public school classrooms, jobs, and through recreation and residential life.